Shenandoah National Park is a beautiful, historic national treasure which includes the scenic 105-mile long Skyline Drive - a designated National Scenic Byway. The Park covers the crest of Virginia's Blue Ridge Mountains for over seventy-five miles. 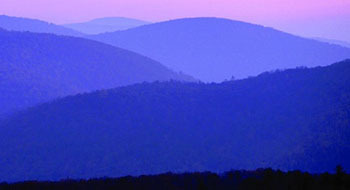 Shenandoah National Park celebrates its 75th anniversary in 2011. The Appalachian Trail roughly parallels the Skyline Drive and about 101 miles of this trail run through the Park. There are over 500 miles of hiking trails. Park Ranger programs are offered. Current list is available in the "Shenandoah Overlook". Camping is available in the Park as are modern lodge facilites at Skyland Resort and Big Meadows Lodge. Full-service restaurants are at Skyland and Big Meadows plus there are "waysides" with lighter food. Enter at Front Royal/U.S. 340; Thornton Gap/U.S. 211-Luray; Swift Run Gap/U.S. 33-Elkton; Rockfish Gap/U.S. 250. 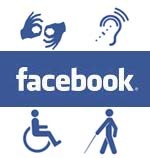 Link toaccessibility information for the park.